If you're looking for Lady Tradies in NSW, these people may be able to help you! Home Mainten﻿an﻿ce jobs: Smaller Painting, Tiling & Grouting Jobs, Curtain & Towel Rails Hung, Picture Hanging, Tap Washers & Light Bulbs Changed, Upscale & Paint small furniture items, Assemble Flat Pack Furniture jobs that 1-2 people can manage and more. Home ﻿Technology﻿ Help: The latest Technology can be confusing at times. If you need help with a TV, DVD player, Phone, Computer/Tablet or the Internet etc I can usually sort things out. I can solve problems, explain how to use them in simple terms, write out basic instructions for future use, or provide various help/tuition for a number of items or programs. If I can’t help you or fix it, I will tell you honestly, & there is no charge. Honest, Trustworthy, Reliable & Helpful. Years of experience working with the Elderly & Children. Are you sick of feeling nervous talking to your Mechanic? Are you worried you’ll be ripped off, or end up with a list of un-necessary repairs? Are you time poor & always struggling to get your car to the mechanic? Would you like the convenience of your mechanic coming to your home or office? The answer is right here - with your own fully qualified & Mobile Female Mechanic! About TLC: Melissa Hardwicke - Owner & Operator of TLC Mobile AutoCare has been a Motor Mechanic for over 10 years, & is passionate about cars. Doing her Apprenticeship at a Major Sydney Dealership, Melissa always knew there was a lack of Female Mechanics in the industry. She understands people want to feel comfortable when going to see a mechanic, not be treated like they don't know anything. 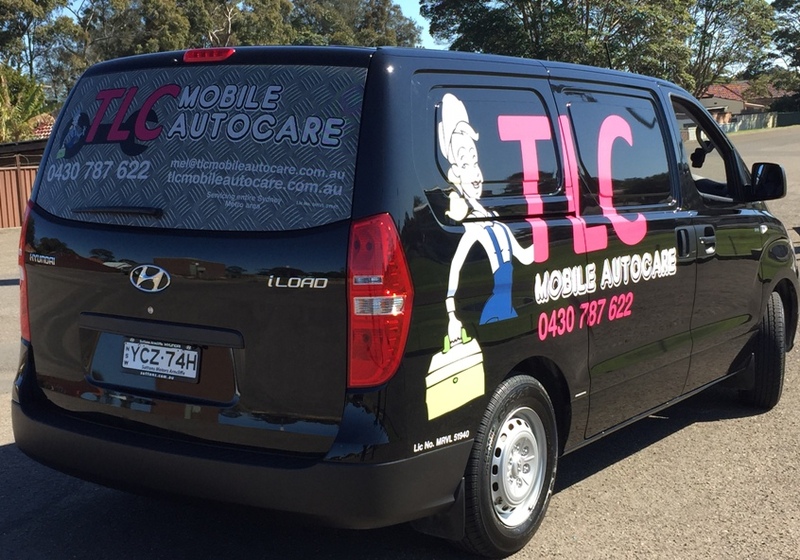 TLC Mobile AutoCare is a Full Mobile Workshop ready to come to your home or Office. 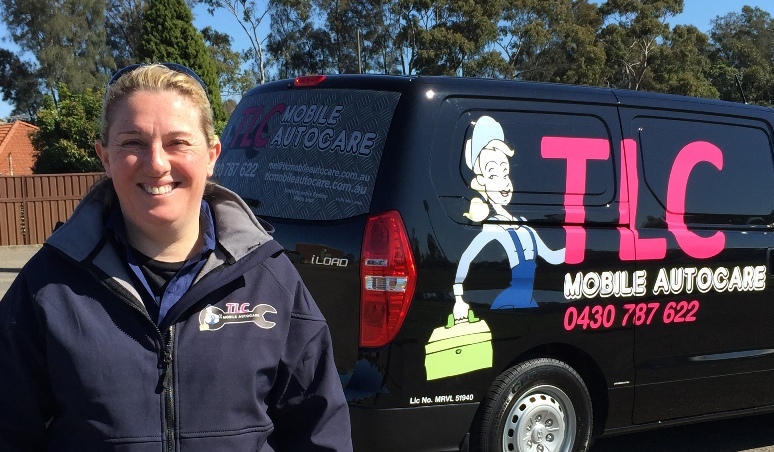 Although there are many mobile Mechanics out there, this Female owned business is the first of its kind in Sydney & she's ready to keep your car in tip top shape. Melissa prides herself on honest, reliable service & understands that servicing or repairing your car can be expensive enough, without being told you need things that aren't really necessary. For log book services, minor or major services, fleet services, brakes, transmission & all mechanical repairs, your log books are stamped so your warranty is fully maintained. You can click here to see a full list of service details on her website. Fully Licenced Motor Mechanic: MVRL 51940. Personal Accident & Motor Vehicle cover through GIO Insurance. Sundays & Public Holidays: Closed. Emergency call out available, but fees will apply. 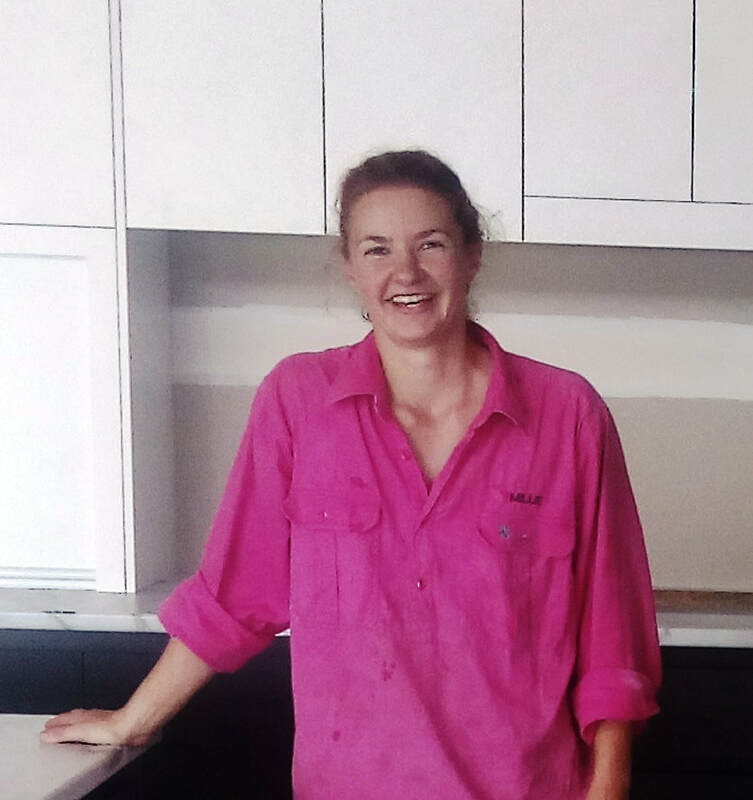 Janine (Jai) is a qualified, licenced carpenter, a qualified builder & student building designer. She works on residential homes, builds custom designed exhibition stands for trade shows with a Sydney decorating company & has a picture hanging / handywoman business on the Central Coast & Newcastle areas of NSW. Fully qualified & with vast experience in a wide range of projects, Jai has an eye for quality work & style. Check out the Facebook page photos for some examples of the beautiful work. At your home Jai can help you with almost any Carpentry work. On a smaller scale, this includes; Repairs to decks, outdoor Kitchens, privacy screens, fixing & replacing skirtings, architraves, internal doors & handles, roof insulation, placing of door stops, weather strips, letter boxes, towel racks, toilet roll holders, handrails, hanging clothes dryers, restringing clothes lines, picture hanging, etc. Jai also loves doing Master bedroom makeovers for your heavenly sleep. Janine was Apprentice of the year in 2009. Will travel to Sydney (southbound) or Forster (northbound) for larger jobs; but travel fees apply. Purple Power Electrical is a female owned and operated electrical contracting business with a commitment to providing high quality electrical equipment installed by a qualified and competent electrician. Think domestic and small scale commercial, and Danielle will have it covered. Whether you need switchboard works completed, a new ceiling fan installed for the hotter months, a couple of new power points for appliances in your home, some lights looked after in your office space, or you've found yourself with an oven that no longer works, it can all be sorted in a timely manner and at a reasonable price. Area's Serviced: Sydney Area - Up to 10km in any direction from Newtown. ** GETTING THINGS DONE !! ** What's on your 'to do' list! Energetic woman with a keen eye for detail, to take care of the jobs/repairs you don’t have the time or tools for. An eclectic mix of experience and skills. ‘Jill of all trades…mistress of several’. Lawn and Garden Maintenance: Mowing, Pruning, Hedging, Weeding, Planting, Constructing Simple Garden Beds, Yard Clearing, Synthetic Turf Install, etc. Computer Help and Repairs: When your computer is ‘misbehaving’ … I’ll help you sort it!! Error messages, hardware failures, printing issues etc. Wish you knew how to do something … I can show you how!! - PC, Laptop, Tablet, Mac, iPad, Smartphones. Declutter: Minimalise Home or Storage Facilities, Post Ads and Photos on Gumtree/Ebay to sell unused household items. Working with Children Check (2011). Sydney Solar & Batteries/Electra Energy have 2 sides to their business. 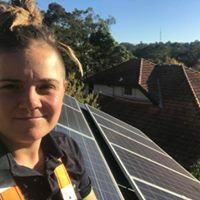 This multi skilled female electrician provides Level 2 ASP services & larger residential projects, as well as solar & battery projects in NSW in conjunction with other installers. Lily is customer focused & believes each system needs to be tailored to the customers needs. Lily provides honest advice & service & won't take on work she is not specialised in. If Lily doesn't service your area nor do the work, she is happy to provide you with a contact for someone that does. Lily is currently working with others in the field of solar & battery system installs & can provide you with advice & design for solar & battery systems, including managing & co-ordinating projects above 30kW. Based in Scone but servicing the Hunter, and up to Gunnedah and Tamworth. Custom Kitchens, Laundry Cupboards, Vanities, Linen Cupboards, Wardrobes, Entertainment Units & more. The Kitchen Mill offers a Custom-Made Kitchen and Cabinet Making service to utilize individual spaces. No matter the size or budget The Kitchen Mill can adapt to suit your needs, offering a free measure, design and quote to allow you to start planning for your dream kitchen. This personalised service is offered by owner and operator Millie Sturman. 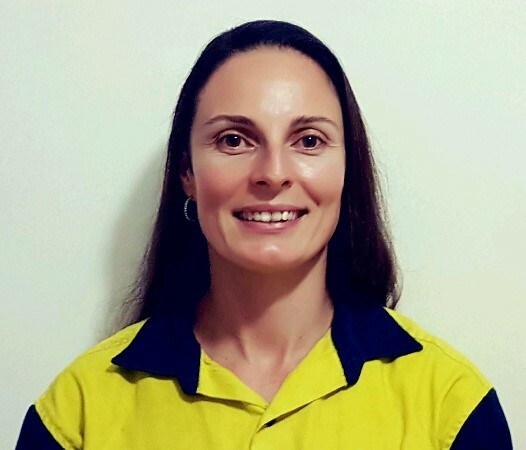 Originally from Near Gunnedah, Millie trained as a cabinet maker in the Northern Territory Before completing her apprenticeship in Newcastle. 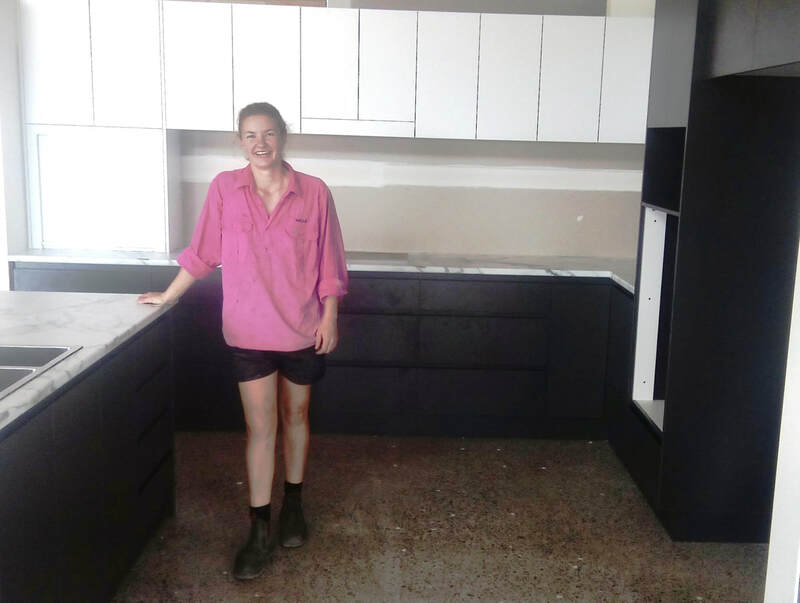 In 2015 she Won the Hunter Region’s Apprentice of the Year in Cabinet Making, as well as a special award for a Woman in a non-traditional trade. Millie is also a Certified Kitchen Designer and strives to work with customers to create a design they want, listening to their needs and desires for their dream kitchen. Now back in Country NSW Millie provides a service to local community. She prides herself on attention to detail and practicality. She enjoys making custom cabinets to suit individual homes and producing the most functional and aesthetically pleasing results. For all your cabinet making needs in Scone and surrounds please contact The Kitchen Mill. Based in the South Western suburbs of the Canterbury-Bankstown shire, Roni will travel as far South as Campbelltown, over to the Eastern Suburbs or up to the North Shore areas of Sydney. 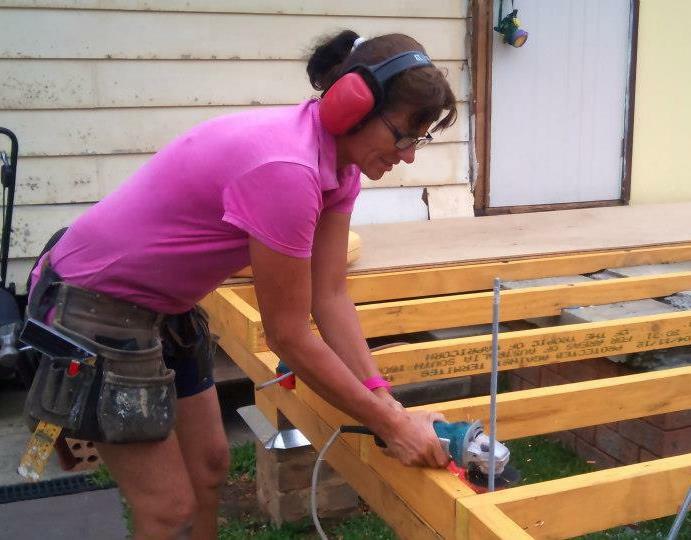 Little Miss Fix it (aka Roni) is a multi-trade qualified & very talented Lady Tradie. Roni does almost everything from new Kitchens & Bathrooms, (flat pack or custom built), all Carpentry work, Renovations, Maintenance & Emergency fixes. As a Joiner & Cabinet Maker Roni can also design & make specialised cabinetry, doors, bookshelves & more. She can re-paint your home, (inside & out) & install your TV, Data & Home Theatre set up in this new modern world. With her own workshop & equipment, Roni can custom make almost anything & everything you may need, with a style to suit your home, & your needs, the way you want it & to your budget. 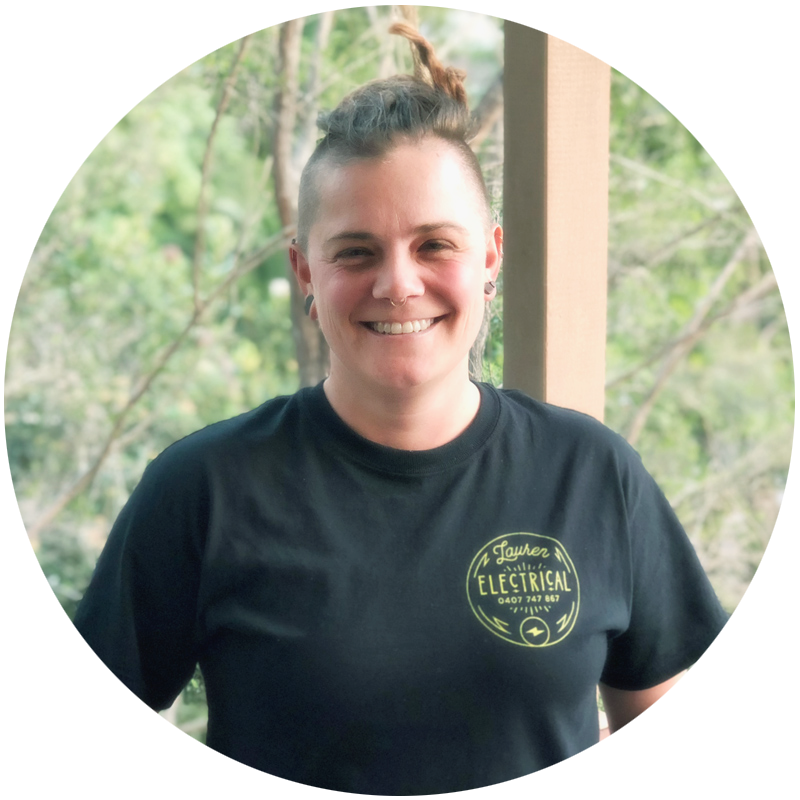 Servicing the Sydney region, Lauren Electrical is a female owned and operated business which values the reputation she has built within the community over the past 10 years. Lauren has been working over all aspects of the Electrical field since 2005. Formerly of the Blue Mountains, and now based in the Inner West of Sydney, Lauren has a plethora of satisfied customers spanning the Sydney and greater west region. There is nothing Lauren can’t figure out for you! Female owned and operated plumbing and gas fitting company based in Sydney’s Inner West and servicing the metropolitan area. Plumbing and gas fitting, maintenance, new builds, light commercial, renovation and extensions. Jonni can help you with Leaking taps, Dishwashers, Broken toilets, Hot water systems - installation and repairs, Burst pipes, Downpipes, Stormwater tanks/pumps, Sewer repairs, Thermocouple replacement. Meticulous, transparent, attention to detail, clear communication and reliable. Glenco are a professional, family owned electrical business operating within Sydney for over 30 years. We proudly support Lady Tradies and understand that there are times when our customers may prefer using a female tradesperson. Within our team, Krissy is a fully qualified electrician. Krissy has been working as an electrician for a number of years, also completing part of her apprenticeship at Glenco. Glenco has won numerous trade business awards, including Best Trade Business in Australia 2016 and 2017 in the Australian Small Business Champion Awards, and Best Trade Business in Australia 2018 backed by the Optus My Business Awards. At Glenco, we also employ Barbara as a female apprentice electrician. If your work requires two people as is commonly the case with electrical work, we can send our female electrical team to tackle the job together. All our work is backed by our company quality guarantee, with a lifetime warranty on all labour. With more than 30 years in business, you're guaranteed peace of mind when choosing Glenco and Krissy for your job. Servicing NSW South West and Surrounding Suburbs Fixer Uppers is owned and operated by Clare with a commitment to perfection with a smile. Clare prides herself in being a well-liked successful & multi skilled handy woman. Here’s how to contact Clare at Fixer Uppers.